Wishing you a Happy Beltane/May Day/Fresh Sewing Day! First of all, Thank you very much to everyone who has been so encouraging about my Caravan Pattern and thank you especially to everyone who is in the process of or soon to be making one. It is very exciting for me to think I’ll soon be seeing covers made from my pattern by other people. Since I’ve done nothing much except the pattern for weeks and I missed last month’s Fresh Sewing Day, I’m including some March Makes and since I have pitifully little sewing to show, I’m including some crochet…I hope no one minds. I always love your colorful mosaics! 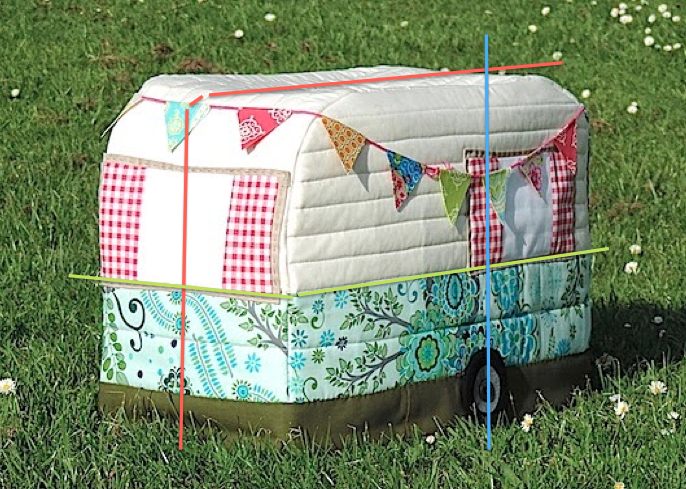 As soon as I am caught up with some of my sewing, I am definitely making this sewing machine cover. Can't wait! At first I thought you had made this monumental quilt cover for your caravan, but it was for the sewing machine! How cool is that. And I thought that you didn't like me!! 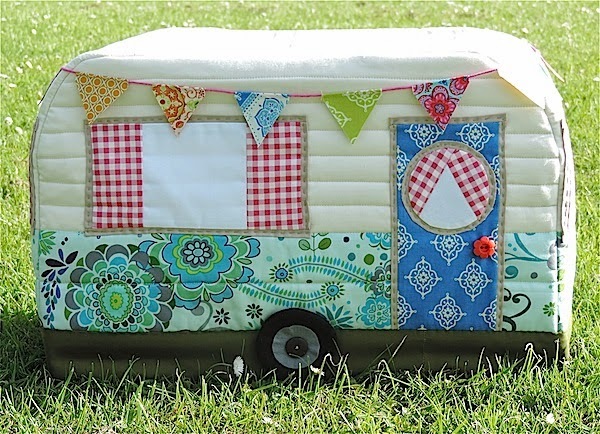 ;) Seriously, though 'O Happy Day' for you, your caravan cover is just amazing! What a clever gal you are! 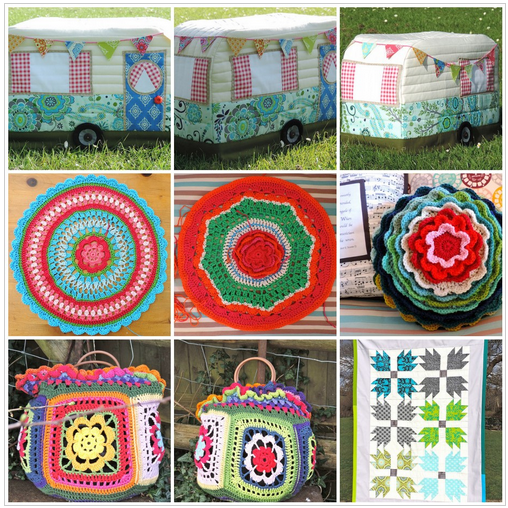 !Just to let you know, I never tire of those gorgeous crochet pretties of yours…..I could look at them all day!! I just had to check out what the caravan cover was covering… thought it was a bit ambitious (but cool) to have a caravan underneath! Oh hurray for a pattern! Seriously the cutest machine cover ever! Lots of lovelies! I'm definitely making a caravan bag or storage bucket, it's sooooo fab! I still have plans to someday make that incredible sewing machine cover! Love to see your crocheting anytime, Janine! What a gorgeous mosaic!! I hope you get your bloglovin' feed sorted soon!